Starting today on the iOS and Android apps, you'll now see a 'You're All Caught Up' message after you scroll past every post from the past two days. 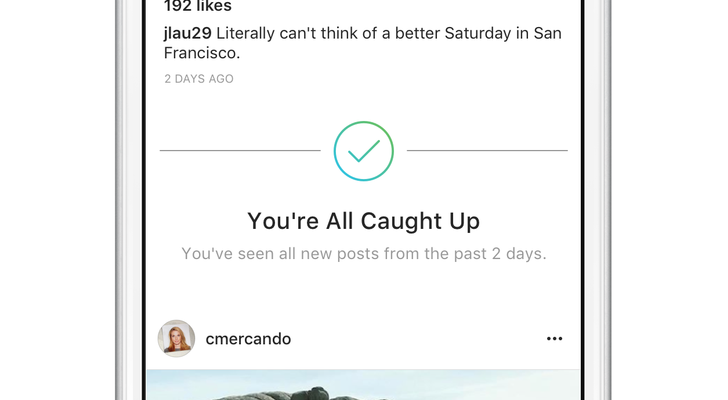 Instagram says this will help you "have a better understanding of your Feed and know you haven’t missed recent photos or videos." You know, like a chronological timeline would.